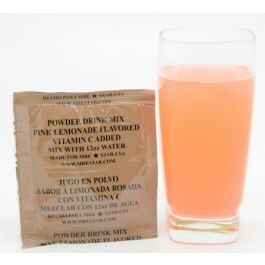 MRE Star Pink Lemonade drink mix is a twist on your regular lemonade mix. It comes in individual sachets that have been made to perfectly flavor a 12 oz glass or bottle of fresh water. They are perfect for use when you are outdoors or if you have had an emergency. Packed under HACCP regulations the quality of this MRE drink is top notch. 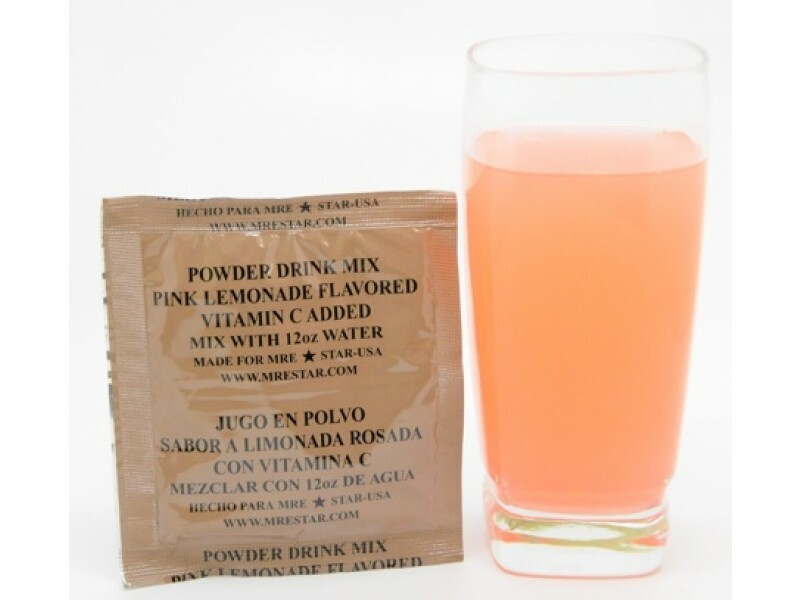 This Pink lemonade drink has been approved by the USDA, FDA and FSIS. Not only is it light weight, it has as a 10 year shelf life and is water proof.